Sony has started pushing out a new update to its Xperia X, X Performance, X Compact, and XZ smartphones. 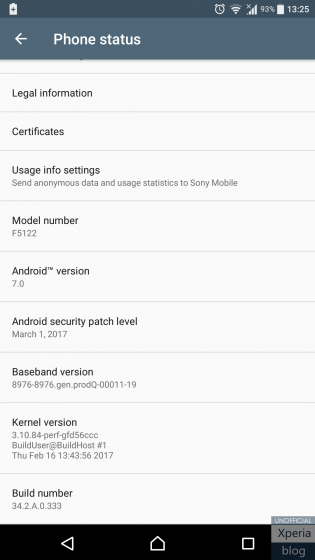 Arriving as build number 39.2.A.0.442 for the Xperia XZ and X Performance, and 34.2.A.0.333 for the Xperia X and Xperia X Compact, the update brings along March security patch. There's currently no information on what other changes (if any) are included in the update. Given the fact that it's an OTA roll out, it may take time for the update to hit your device. If you feel impatient, you can manually check for the update by heading to your handset's Settings menu. Sony has shown that it listens to their customers. It started with Z3 Concept software, followed by Xperia X concept, resulting in a changed Xperia wide policy. Well done Sony! Your customers appreciate it.